AA rechargeable batteries with a built in USB plug No charger needed just plug into USB port of PC or laptop With Charge Level indication Help the environment; stop using non-rechargeable alkaline batteries. 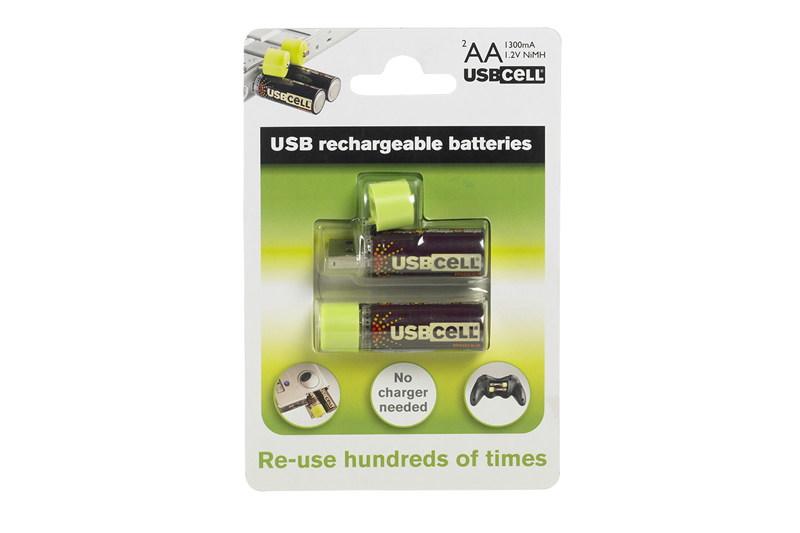 With the cap on, USBCELL behaves as a standard 1300mAH AA battery, suitable for use in high-drain devices such as digital cameras, or low-power devices, like wireless mice or games controllers. 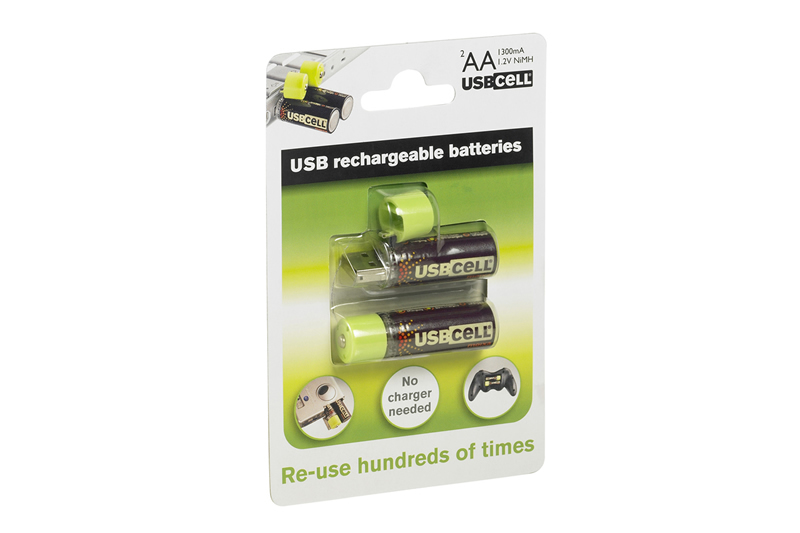 They can be used in almost any device that needs AA batteries.